Gift cards by their nature are impossible to wrap. They are small, square, flat and boring. Not to mention that they always fall out of greeting cards. 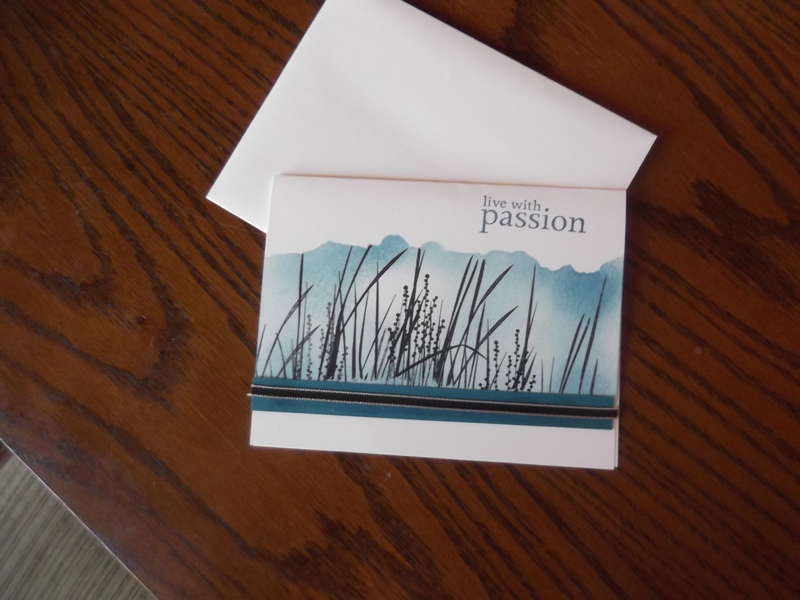 The upside is that it’s easy to customize a gift card pocket into any greeting card. All you need is a pocket for the gift card to rest in. 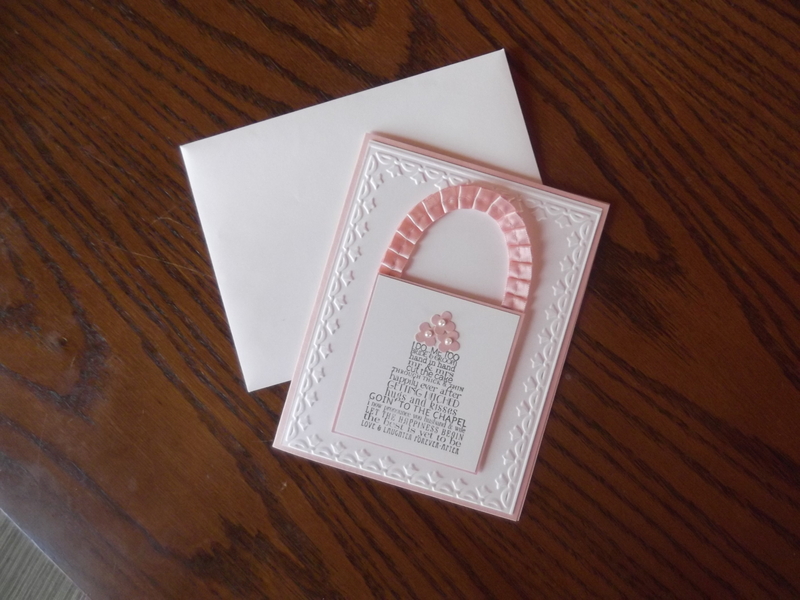 The pocket can be made easily by cutting a piece of card stock to slightly larger dimensions than the gift card and using glue or glue dots, adhere 3 sides of the cardstock to the greeting card. Simple gift card holder. For added security modify your gift card design to include a sealed flap, ribbon ties or other closure. This one is designed by my friend Rose Conley. 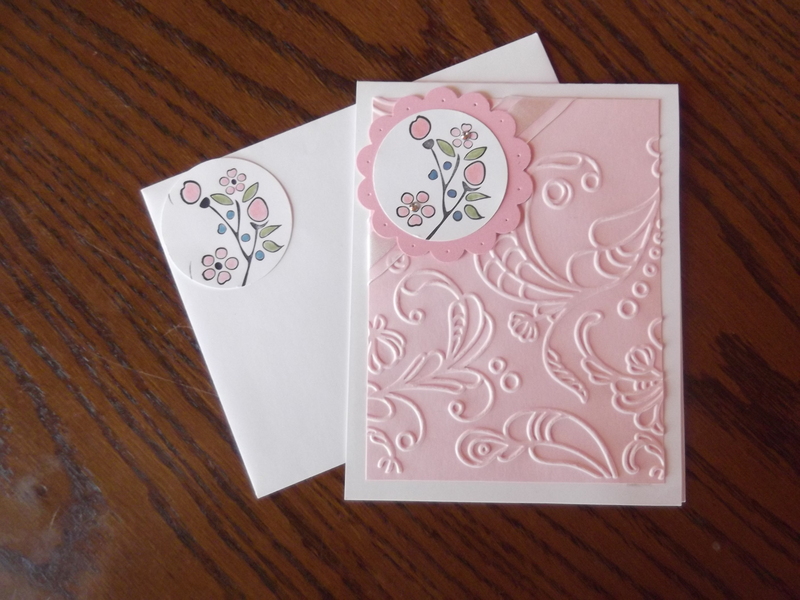 It features a slit closure design and Stampin Up two sided paper. 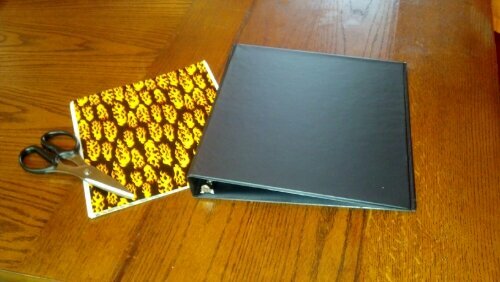 It’s back to school season again and this year my youngest Spawn needed a 3 ring binder. Not wanting to spend $6 on a zip up style binder we decided to get a cheaper, plain binder and decorate it ourselves. Here’s what we did. 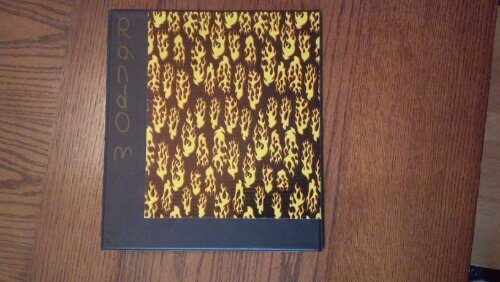 Binder (any size), cost between $0.97 and $2 depending on where you shop. Remove any stickers or tags from the items. Be sure to rub off the adhesive residue well. Layout the design that you want for your binder. Cut as necessary to match the pattern or design. Peel and stick. When sticking you want to resist the urge to wrap the spine of the binder. Instead decorate the front and back and then cut a strip for the spine if you want to decorate it. If you don’t the tape will bunch when the binder is open causing it to loose its stickiness and eventually fall off. Here’s our finished design. For our binder, we further embellished by putting my son’s name on the binder. He’s leaving the space at the bottom to write what it’s for once he finds out from the teacher. This was his design. You could use stencils, other stickers or Washi tape to design your binder. You could glue scrapbook paper although I haven’t tried that yet. As crafting becomes more popular more and more people are looking for ways to transport their projects to various gatherings. There is no reason to go out and buy a specialty case for this. Just revamp what you have. This is my bag. It’s actually a make up bag from 31. It was the free hostess item when I had my party. I had no need for it as I don’t usually use make up and what I have can fit easily in a sandwich size Ziploc if it really needs to travel. 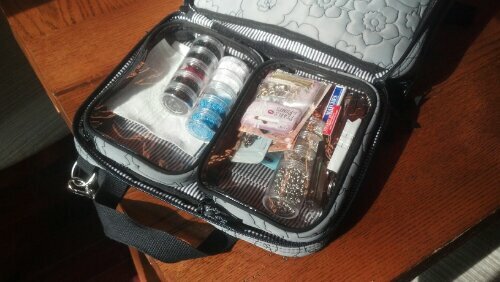 Needing to find a use for the bag I realized that my beading projects would fit nicely into it. The bag has an outside zippered pocket and 2 interior sections which can be accessed separately. 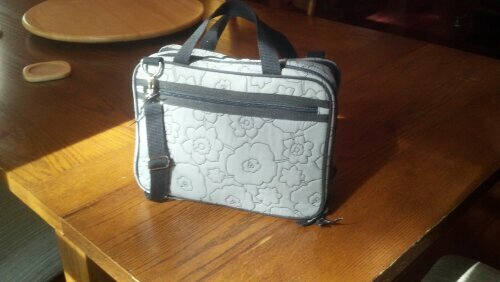 The first section has 2 clear zippered pouches which attach to the bag with Velcro. The one on the left has 2 stackable bead containers and the project itself. The other pocket has a variety of things that I would need for most projects. Headpins, clasps, jump rings, extra needles. All that fuss that you usually forget when your packing a project. There is also a flat pocket, not shown, that I keep a piece of folded up felt in. I use the felt as a bead mat. It’s only a few cents at the craft store and works just as well as pricey beading mats. 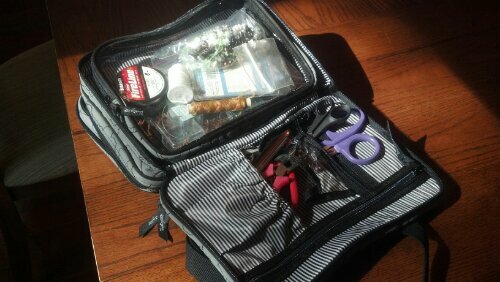 The second section has one large, clear zippered pouch that attaches with Velcro. This pouch is perfect for holding larger items like my sinew, Firewire, and threads. I also keep larger packages of headpins and findings here. The other side has a pocket with an elastic top. Perfect for my tools, grips and scissors. There is a clear flap that falls over the pocket to help prevent the tools from rubbing against the clear pouch when closed. This turned out to be the perfect use for freebie bag that I would have otherwise put in the attic and forgot about. If you need a way to store your items go back through your collection of old bags and see if there is something that you can make work. Hope you enjoyed a look in my bag, be sure to share yours in the comments. There is a great woman named Rose who hosts Stamp Camp once a month. She cuts out and preps 5 different cards to make all with carefully written instructions. This would be were I have the most problems. It’s not that the directions aren’t clear. It’s not that she doesn’t review every step with us. It’s that I always do something that ends up deviating from the plan. This card features a stamp that has words in the shape of a wedding cake. This was supposed to have the ribbon wrapped around the card that stamped square piece on top. Instead I was taken by how much the pleated ribbon reminded me of a basket handle. 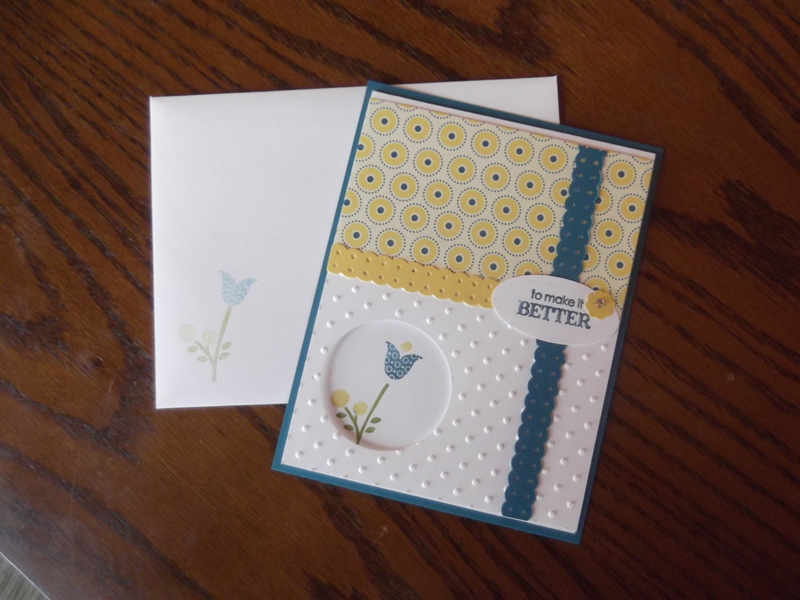 I placed the square at the bottom of the card and curved the ribbon so that it was tucked behind the square piece. This design would also work well for a spring themed card. Just use a shorter box and longer piece of ribbon and you have plenty of room for stamped flowers or to put other items. The trick is using the pleated ribbon so that it lays almost flat. I tried to replicate the look with regular ribbon but it didn’t lay as flat. 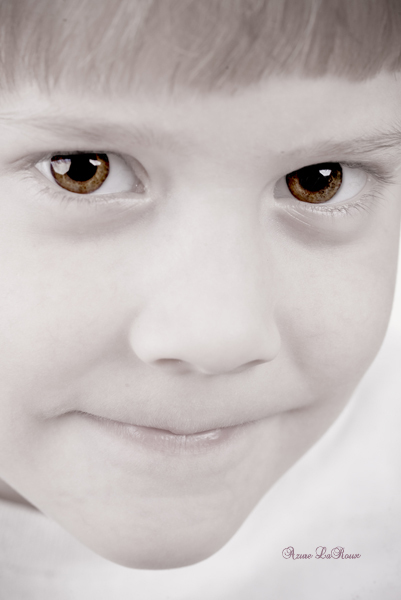 In a earlier post I reviewed Names and what to look out for when naming your child. This story is a fun example of why. 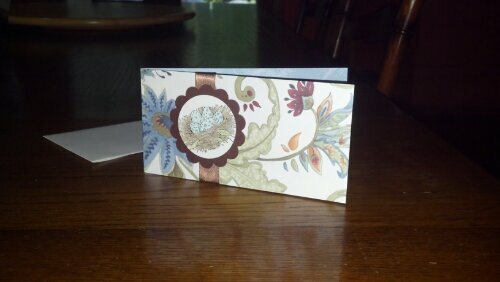 One day while checking the mail I was surprised to find a wedding invitation. It was addressed to my husband. It wasn’t a surprise that I didn’t recognize any of the names on the invitation. I had only lived in the area a few years and he had gone to high school there. I showed him the invite and he thought he recognized the bride’s name as someone he went to school with. (Clue 1) I sent in the RSVP thinking it would be great to meet some of his old high school friends. Not to mention that I was excited about getting out the house for a few hours. It had been a long time since we had a date night without the Spawn. One the day of the wedding we got my in-laws to watch the Spawn, there was only one then, and went to the church. The church was an adorable old New England style building with white siding and a high steeple. It seemed huge as there were only enough guests to fill half the old wood pews. As we entered the church a few people gave us curious looks. (Clue 2) I decided that they just didn’t recognize or expect my husband. He had joined the Air Force after high school and looked a lot different. The real fun started when we arrived at the reception. The place cards were all on a table in the foyer. We searched but couldn’t find ours. (Clue 3) We found the bride’s mother and mentioned to her that we couldn’t find our card. She was very sweet and came to the foyer to help us look. She asked for our name as she didn’t recognize us. (Clue 4) Her eyes lit up when she heard it as if she suddenly figured out the problem. “Oh you must be the grooms best friend. So glad you could make it. I’ll get his mom. She probably has the card.” (Cue the Clue Fairy) At this point we suddenly realized that we had a problem. My husband didn’t know the groom. We waited while the groom’s mother approached. She was visibly confused. We were not the people she was expecting. She told us that the person they meant to invite, who had the exact same name as my husband, had called to say he couldn’t make it. She had crossed his name off the guest list so there was no place card. She offered to add a few more chairs and place settings to a table for us but we didn’t want to be a fuss. She explained that the groom was in charge of getting mailing address for all of his friends. Since he didn’t actually know the addresses he looked them up in the phone book. As it turns out not only did the friend and my husband have the same name but they lived on nearly identical street names. We lived on “Road”, the friend lived on “Highway”. As we left the groom’s mother felt so bad that she told us to take our gift with us. After some discussion I finally told her what the gift was. A cross-stitched wedding sampler. It’s not the sort of thing that you can give to someone else. We left laughing at the days events and how these types of things always happen to us. A few weeks later we received a sweet, handwritten thank you card from the couple. One day we may actually get to meet them. 17 years ago I never even really thought about what this moment would be like. We had just moved into a new home as our apartment was to small for 3. That August, 4 weeks before my due date, we welcomed a 6 lbs 9 oz baby home. He hit the ground running and hasn’t looked back. Walked early, talked early and developed a love of reading early. 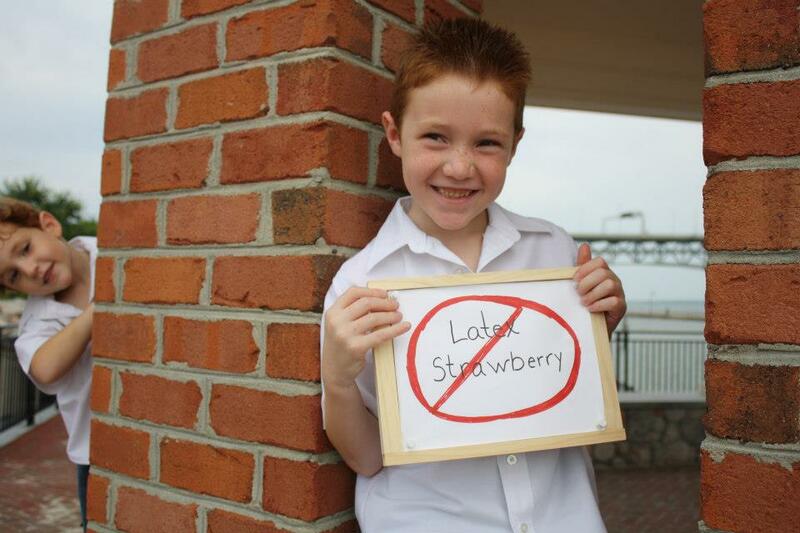 We homeschooled until he was 12 at which point we decided to send him to a private school for more advanced subjects. At 12 he tested into the 12th grade academically, but we knew he wasn’t ready emotionally for high school. Instead he went into 7th grade and later high school, where he majored in Drafting. Despite all his extra curricular activities he still found time to participate in a college credit program. He is graduating high school with a few college credits already under his belt. He’s graduating high school. It sounds so foreign. It’s going to be strange having him leave for college in the fall. He has a confidence and understanding of the world that I never had at that age. He knows what he wants and has a plan to get it. I’m so proud. 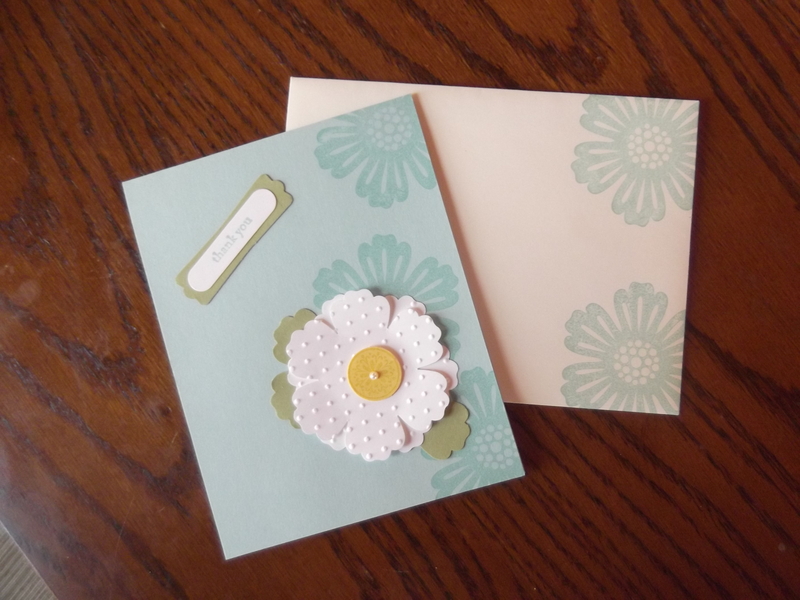 Most guys are not into crafting and firmly believe that handmade cards are distinctly “girly”. This doesn’t have to be the case. At last month’s Stamp Camp I learned a cool technique to give a card a more masculine appeal. This card is made using paper, ink, stamps and sponges. A fun trend in cards is to decorate the envelopes. This provides an extra professional look while maintaining the homemade and crafty appearance. Decorating envelopes can be simple but you need to keep a few things in mind. An envelope is a way to package your card so that it gets to it’s destination safely, and without a bunch of strangers reading your message. Envelopes must conform to several standards if they are going to be mailed. The main one being that the mail carrier needs to be able to read and identify where it’s going. This card is adorable and the envelope is cute, but can you spot the issues? First, the decoration is stamped onto a separate piece of paper which is then attached to the envelope. This is an issue as anything attached to the envelope must be completely sealed down or it will get stuck in the machinery used to sort the mail. Second, the punched circle overlaps the edges of the envelope. Again it will cause issues for the sorting machines, and may cost you more in postage because of the hand sorting that will be required. The final issue is that the decoration is placed where the return address is supposed to be. If you place one small stamp next to your return address it’s fine. But this is large and precludes the ability to have a return address on the front of the envelope. A return address is not a requirement for something to be mailed but it’s nice to be able to get something back if it can’t be delivered. Subtle decorations can add a fun element. Use the same stamp and ink color on the envelope that you used on the card. This provides continuity between the card and envelope without disrupting the function. Another whimsical idea is to stamp the card and then, without re-inking, stamp the envelope. This will give the envelope a softer imprint of the design from the card. Remember to watch the placement. The lower left corner, and both right corners are great for stamping. Keep in mind that the postage will be placed in the upper right corner so only put something there that won’t be lost under the postage. Now that I’ve reviewed what to watch out for don’t throw out the envelopes that are decorated but can’t be mailed. You can always save those cards for hand delivering or place them in a larger envelope than can get through the postal service.